The two Washington County volunteer organizations recently came together to provide breast cancer patients with mastectomy drain pouch bags—small, square sacks laced with ribbon and worn around the neck or over the shoulder under clothing. The bags are made of soft, thin flannel material and hold drain tubes patients have after mastectomies. The Delta Cotton Belles provide breast cancer education, screening, and support to women who are diagnosed with breast cancer and live in a 10-county area. 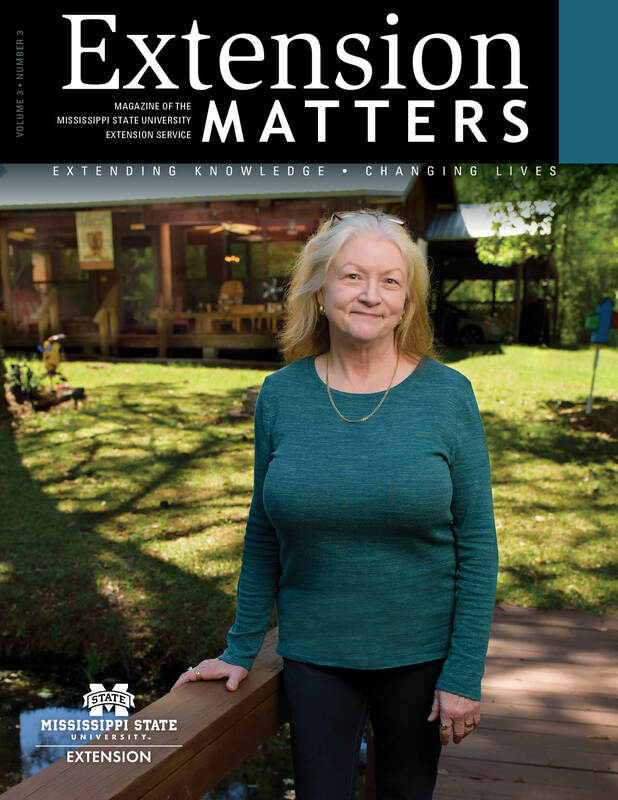 The Mississippi Homemaker Volunteers program, or MHV, is a statewide leadership program delivered through the Mississippi State University Extension Service. MHV clubs engage in public-policy education and community-service projects. So the group got excited about providing the mastectomy drain pouches to their clients, but they had one major stumbling block. The Greenville Area Town and Country MHV club had just gotten four new sewing machines and were looking for more projects to take on. To date, the MHV club has sewn 170 mastectomy bags distributed by the Delta Cotton Belles. At the monthly meeting, MHV members gather at the Extension office to have lunch and plan or work on their current projects. Gladys Briggs joined the MHV club about 5 years ago when she retired from Greenville High School, where she taught family and consumer sciences for 35 years. She has a wealth of sewing experience that comes in handy on projects like this. But breast cancer is personal for her. MHV members plan to continue the mastectomy bag project, which has been well received by patients who get the bags. Some fabric and ribbon for the bags was purchased with MHV club funds, while other materials were donated by MHV members. For more information about the Mississippi Homemaker Volunteers leadership program, contact the local Extension office or visit the Extension website at http://extension.msstate.edu/mhv. To learn more about the Delta Cotton Belles and their breast cancer programs, visit their website at http://www.deltacottonbelles.org.